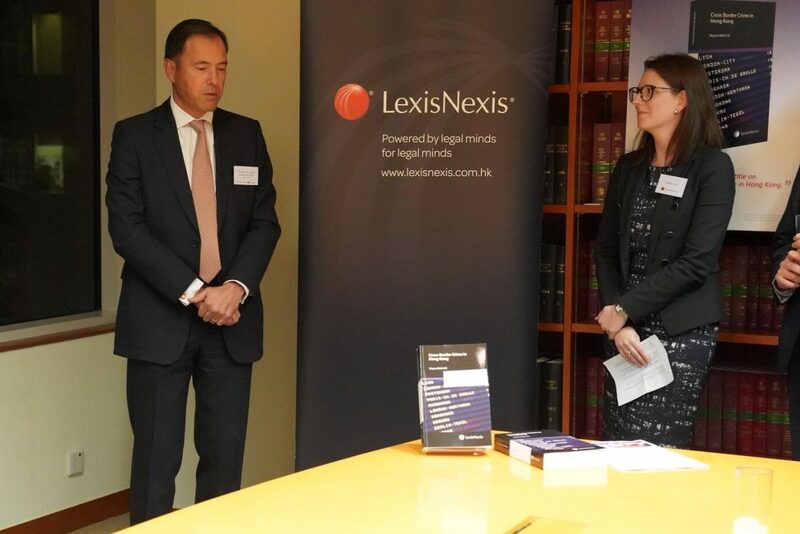 Wayne Walsh SC’s new book, “Cross-border Crime in Hong Kong”, was launched at a ceremony on 14 November 2018, jointly hosted by LexisNexis and Parkside Chambers. Chambers was honoured to have the company of the Hon. Mr Justice Fok PJ, the Hon. Mr Justice McWalters JA, the Hon. Mr Justice Zervos JA, Mr Joseph To, Mr David Leung SC, Director of Public Prosecutions, Mr Martin Hui SC, Deputy Director of Public Prosecutions, as well as many colleagues and friends. 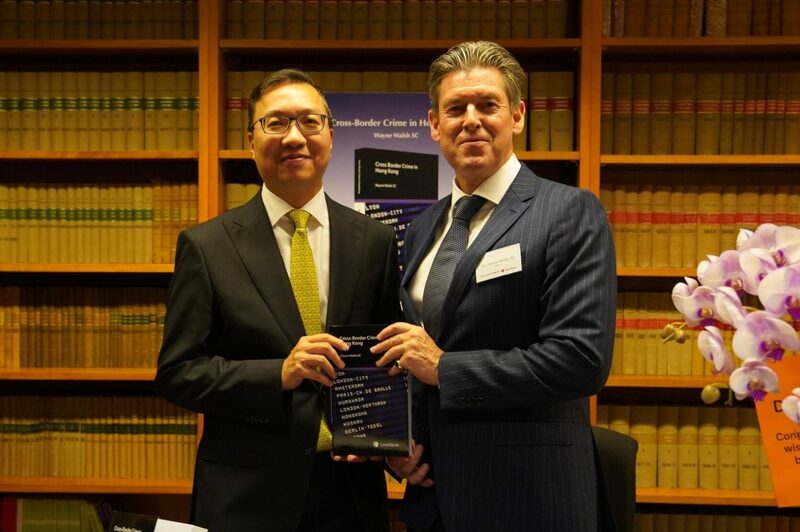 To mark the occasion, Mr Justice Fok, who wrote the foreword for Wayne’s book, gave a short speech, noting the increasing prevalence of cases before the Courts involving complex cross-border crimes. This was followed by a speech from Wayne, who recalled his professional journey and explained the inspiration for his book. The event concluded with a book signing by Wayne, topped off with champagne and light refreshments. 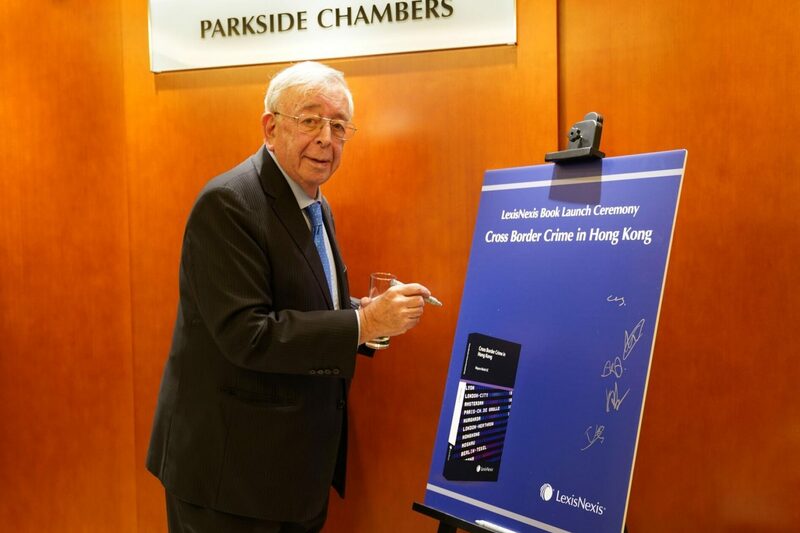 “Cross-border Crime in Hong Kong” is the culmination of Wayne’s distinguished career in public service, drawing upon his many years of experience at the helm of the International Law Division at the Department of Justice. It is an accessible yet comprehensive text, offering practical guidance to legal practitioners and law enforcement authorities on an area of law which has seen many developments in recent years. In particular, it grapples with the lacuna in formal legal arrangements between the Hong Kong Special Administrative Region and other parts of China in relation to rendition and mutual legal assistance, offering insights and putting forward proposals in this regard. More information about Wayne’s book is available on the LexisNexis website. Mr Justice Fok PJ giving a speech at the book launch. 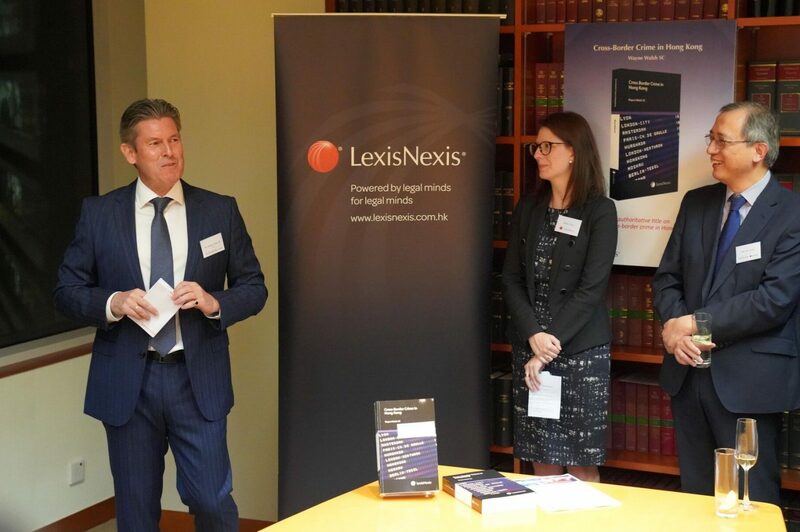 The launch of Wayne’s new book was co-hosted by Parkside and LexisNexis.